This kit is something that should be in every traveler’s pack. 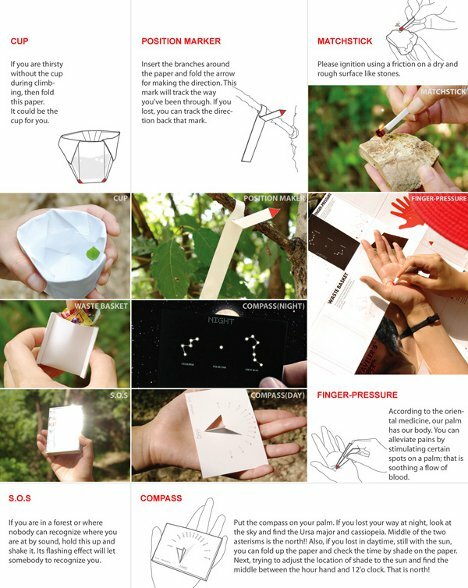 The Traveler’s Paper Kit was designed by Jaeyong Lee, Jongwon Baek, Seonju Ryu, Sooji Park and Yeonjung Lee as a lightweight survival kit that takes up virtually no space but performs a staggering number of functions. 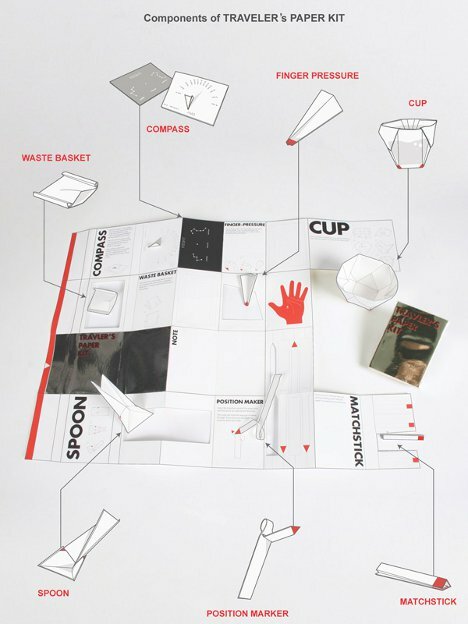 Sort of like a map, the Traveler’s Paper Kit starts out folded up into a tiny parcel of paper. Unfold it and you will find a solar compass with a star chart on the reverse side, a small paper cup, several position markers, a tiny wastebasket, a reflective card that can be used as an SOS signal, a spoon, a finger-pressure chart for alleviating pain through traditional Shiatsu methods, a paper for taking notes, and a few matchsticks. The kit, a 2012 Red Dot Award winner, allows travelers to be prepared for a wide variety of unexpected situations. 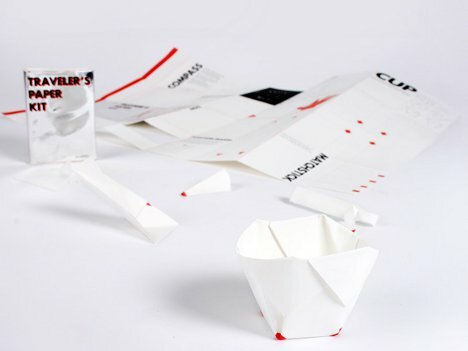 The components are all paper and simply pop out of the larger piece of paper when needed, making the kit an extremely lightweight and convenient piece of survival equipment. Because all of the gadgets are simplified, they require no power and very little preparation. 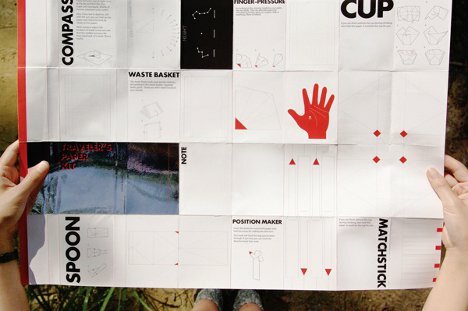 The entire kit is made with recycled paper, reducing its potential environmental impact. According to the designers, carrying an emergency kit becomes even more important when you have traveled several times without incident since the likelihood of encountering some kind of trouble increases when we become complacent.